The Vektra kettle is a new eco-friendly kettle that efficiently boils water then keeps it hot for up to hours. It cleverly combines high-standard electric kettle functionality with the added feature of vacuum walls that trap in heat, just like a thermal insulating flask. 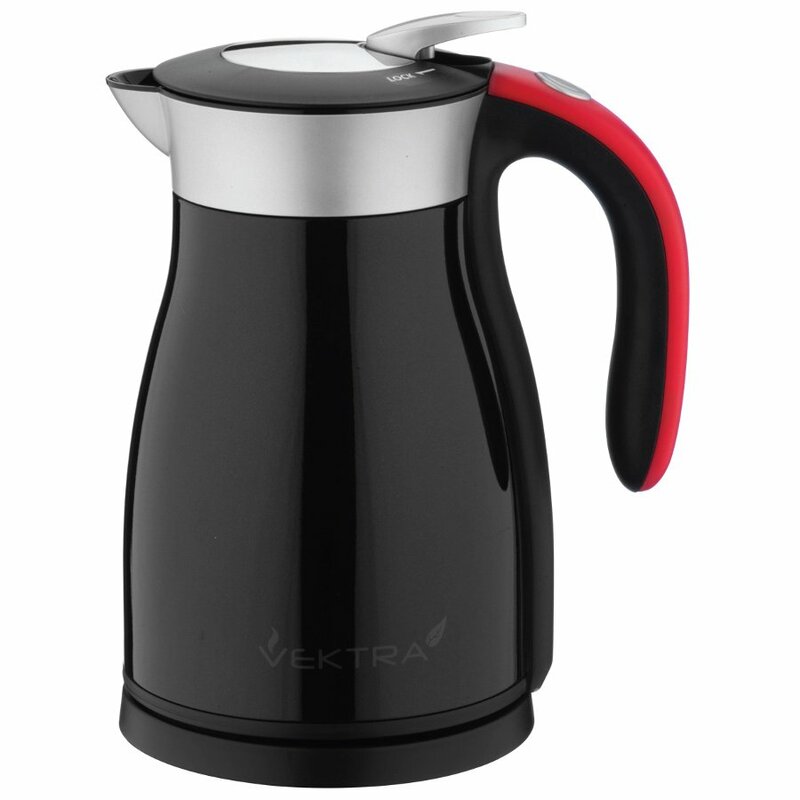 As well as being energy efficient and time-saving, the Vektra kettle is designed to be versatile and safe. Its stainless steel outer wall stay cool, it has a non-drip poring spout, lever controlled anti-spill stopper and comfortable handle. It can be safely used as a serving carafe and will look stylish in any home or office. Available in a choice of colours and sizes. The Vektra Vacuum Eco Kettle - 1 Series - 1.5 Ltr Black & Red product ethics are indicated below. To learn more about these product ethics and to see related products, follow the links below. Really liked the style of this kettle and its eco credentials however really disappointed with it as it pouring is not that easy and it is not easy to see how much water remains in the kettle. I don't often leave reviews but this kettle is so good. I'm now using it instead of a teapot as the water stays hot for hours. I don't mind the fact that there isn't an indicator as no water is wasted anyway because it remains hot for a long time. Easy to use plus it stays cool on the outside. I won't go back to normal kettles after this. This kettle is far easier to use than other eco kettles I have tried and the water stays hot for hours. The only wish is that there could be an indication of how hot it still is when you return for your next cup and also a water level indicator, so you know if you need to top up. Very smart and stylish. 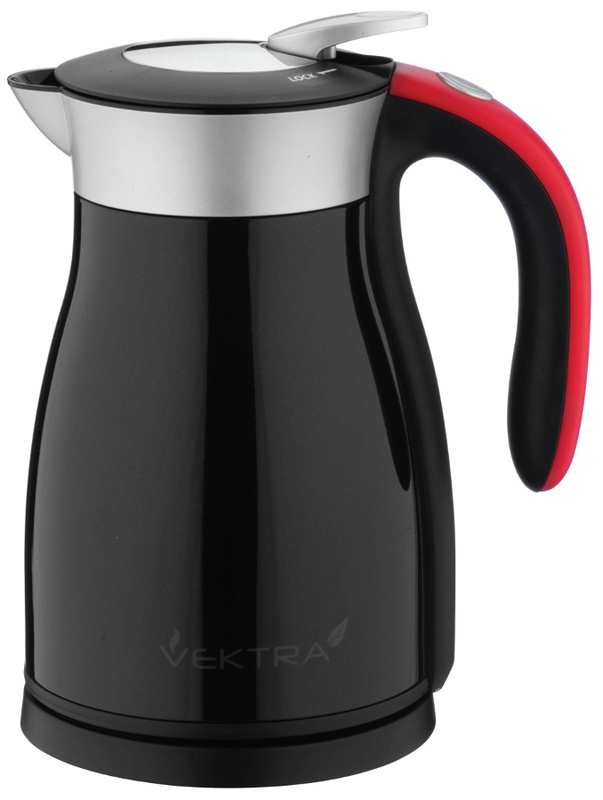 There are currently no questions to display about Vektra Vacuum Eco Kettle - 1 Series - 1.5 Ltr Black & Red.